During the 2016 Summer Olympic Games in Brazil, Glice® co-founder Viktor Meier met the Brazilian national ice hockey team in Rio de Janeiro. 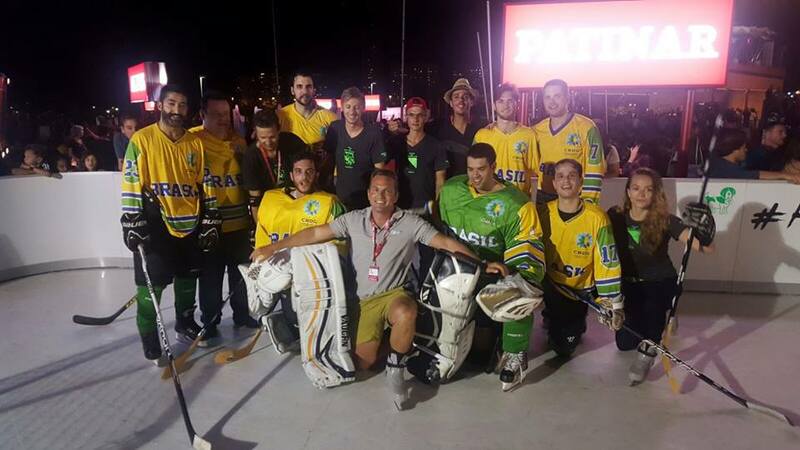 The Brazilian national team played a game against a Swiss ice hockey selection on the synthetic Glice® ice rink installed at the ‪#‎HouseofSwitzerland in Rio de Janeiro. Since there isn’t a single ice rink in Brazil until today, the national team usually trains on inline skates. Coach Hinderlie’s vision: to promote Glice® synthetic ice rinks throughout the country to get investors on board for a hockey future on ice, not concrete. Find more information on Glice® synthetic ice on our website: www.glicerink.com or contact us here!